The North-East has a long history of innovation – Robert Stephenson’s Rocket is a prime example, which has returned to Tyneside for the Great Exhibition of the North and is currently on display at Discovery Museum. 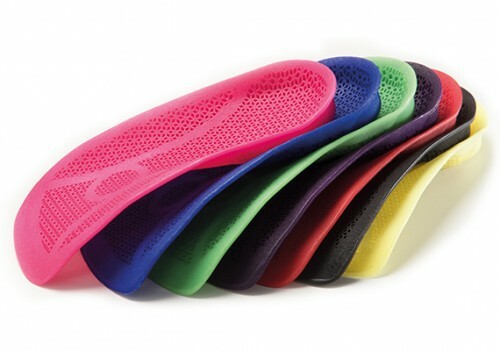 A more modern example of North Eastern innovation is Podfo, having been designed in consultation with hundreds of orthotists, podiatrists and biomechanical experts to be a custom insole that supports natural movement to help reduce the risk of pain and injury when standing, walking or running. This innovation makes Podfo, just like its insoles, a natural fit as a sponsor for the Great North Museum as it plays its role as a central hub for the Great Exhibition of the North. 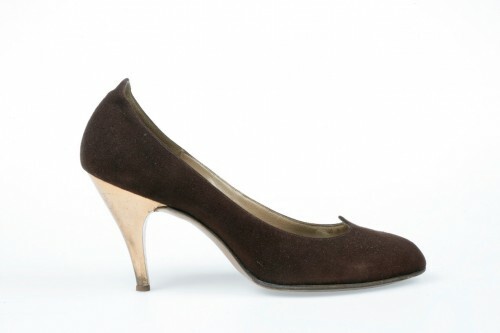 Court shoe, 1957-8. Suede, leather and metal, by Hutchings. According to Slate, in the 10th century, men who rode horses needed their boots to have heels in order to stay in their stirrups (this explains why you often see cowboy boots with heels). Owning horses was a sign of wealth and by association heels were a way to show off one’s wealth, and became a signifier of aristocracy and high social standing. Eventually, upper-class women began wearing heels, however men continued to wear high heels for centuries. It wasn’t until the 18th century that the high heel became firmly established as a lady’s shoe, as men deemed them impractical. How did sneakers get their name? Sneakers began to get their name in the 1800s due to their rubber soles which enabled people to walk around without making a sound, hence becoming “sneaky”. A popular pair of sneakers was the Air Max 1, introduced by Nike in 1987. It had a new technological development visible to all – pressurised gas encapsulated in polyurethane. Marion Frank Rudy had developed this to support the foot whilst running. He approached many firms, and was turned down by Adidas, but his idea was taken on by Nike. 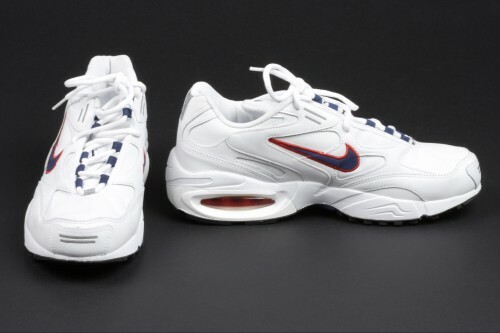 This version of the Air Max was one of the best sellers for men in 1999, retailing for £47.99. 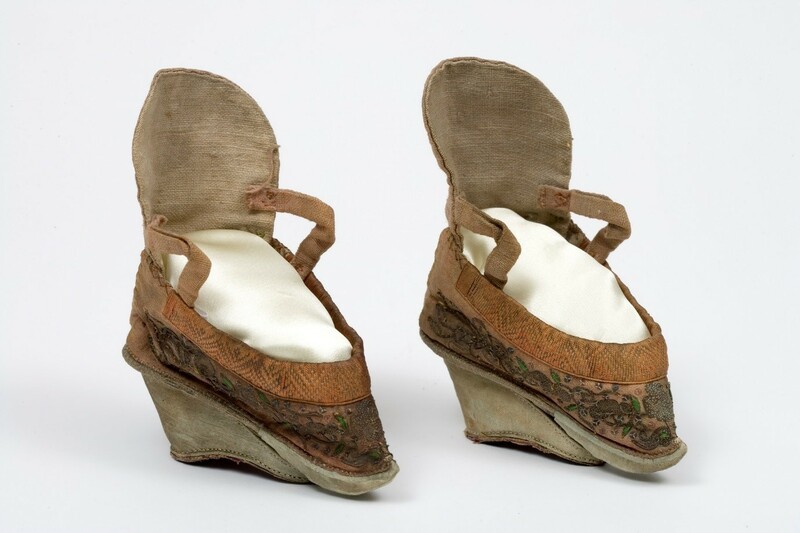 Lotus shoes, 1800s. Silk and leather, China. For over a thousand years many Chinese women went through the tortuous procedure of foot binding, as tiny feet were a sign of status in China. From an early age girls would be made to wear shoes too small for them, preparing them for the binding of their feet. Their feet would be tightly wrapped in bandages so that they could not grow, and the bones of the foot would be broken and all but the big toe curled under the foot to produce a curve called the ‘lotus hook’. Foot binding limited the mobility of women, and resulted in lifelong disabilities for most of its subjects. However the fact it affected women’s ability to walk, was bizarrely deemed a good thing, as it was seen as a sign of wealth, as the wealthiest of people didn’t need to walk or work in fields. You can see an example of Chinese Lotus Shoes on display in the Great North Museum. The most famous ever footprint? 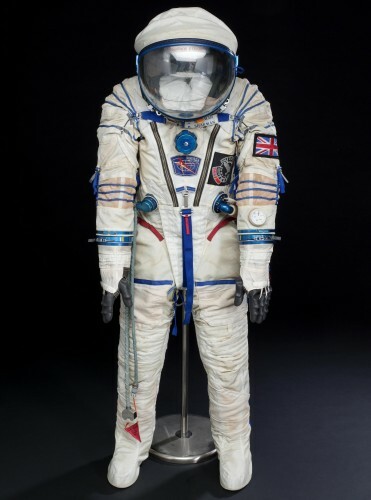 Zvezda space suit made by SOKOL used by Helen Sharman during the space flight on board the SOYUZ-TM-12 and MIR spacecraft in May 1991. Space suit model number KV-2 No. 167. The footprint left by Neil Armstrong on the moon after he and Buzz Aldrin landed on 20 July 1969 is undoubtedly one of the most iconic images in history. As Armstrong took his first step, he spoke one of the most famous lines history: “One small step for man, one giant leap for mankind”. Although Astronaut Helen Sharman hasn’t been to the moon, she has been to space, and her space suit is on display this summer at the Great North Museum for Which Way North. 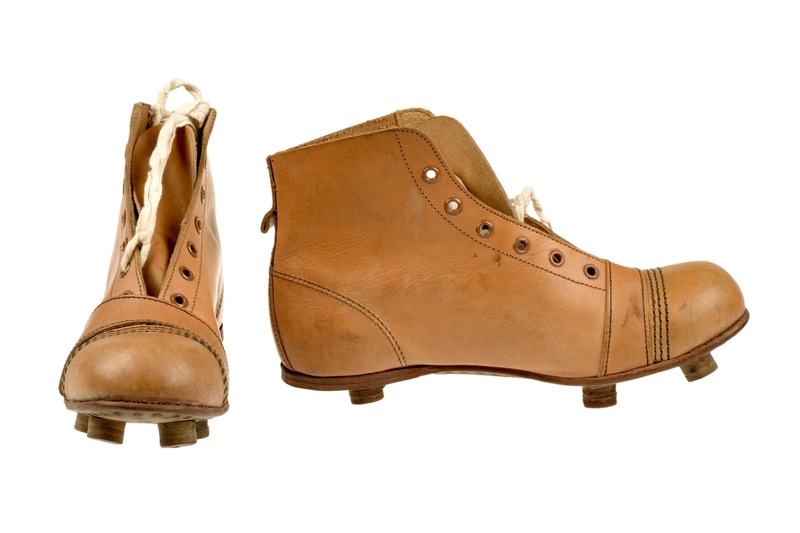 Leather football boots from the 1930s. In the late 1900s, the first proper specialised football boots were made of leather, and were heavy (around 500g) and could get even heavier when wet. Boots in the early 20th century were then manufactured with less focus on protection and more focus on being lighter, agile and flexible to improve performance. By the 1930s, players were typically turning out in boots that were up to two thirds lighter than a few decades earlier, thanks to a combination of softer leathers and new synthetic materials. Podfo’s Bespoke Biometric Insoles are a modern way to further help increase sport performance with their specialised insoles. Visit Podfo to see how they can improve your sport performance. Podfo will be providing opportunities to discover how biometric complexities are behind many foot, knee, leg, hip, and lower back complaints. In addition, they will demonstrate how Podfo bespoke biometric insoles, designed and manufactured using innovative technology, can help correct these issues. Come and find Podfo at the Great North Museum every Wednesday from 25 July – 5 September, and discover how Podfo can help provide you with corrective foot control, while supporting natural movement, to help relieve pain and discomfort. Always interesting to find out the origins and evolution of things we use every day. Thanks!